Recent discussions around limit-problems, namely the questions concerning what can appear in phenomenological reflection, as well as what phenomenology as philosophical reflection can handle, call for a concerted treatment of the problem of limit-phenomena. In this important new book, Anthony J. Steinbock, a leading voice in contemporary phenomenology, explores that question in the context of an interrelated series of problems in Husserl's phenomenology. 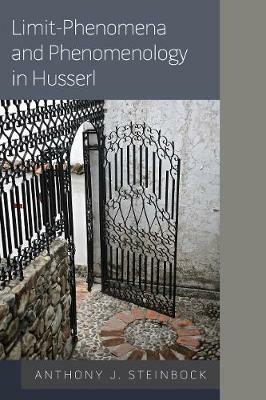 Representing a continued struggle with these insights and problems, the first section sketches out the problem of limit-phenomena, and addresses generally that rich estuary of liminal experience that commanded Husserl's attention in his research manuscripts. The book goes on to offer a correlative reflection on the issue of method and finally explores a specific set of what have been called recently "limit-problems" within phenomenology, relating to the problem of individuation and on a more personal level, vocation. This rich and timely volume offers an excellent demonstration of phenomenology in practice.